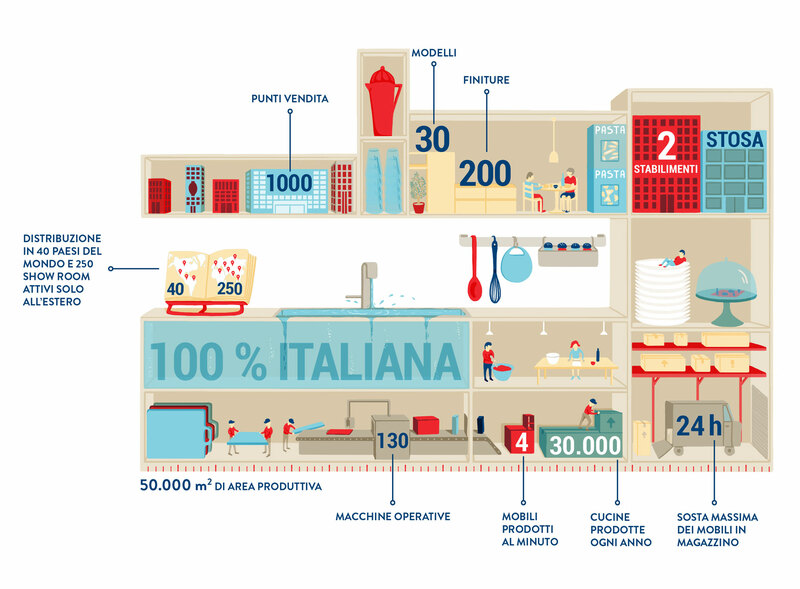 I realized this infographic for the renowned Tuscan company Stosa Kitchens. 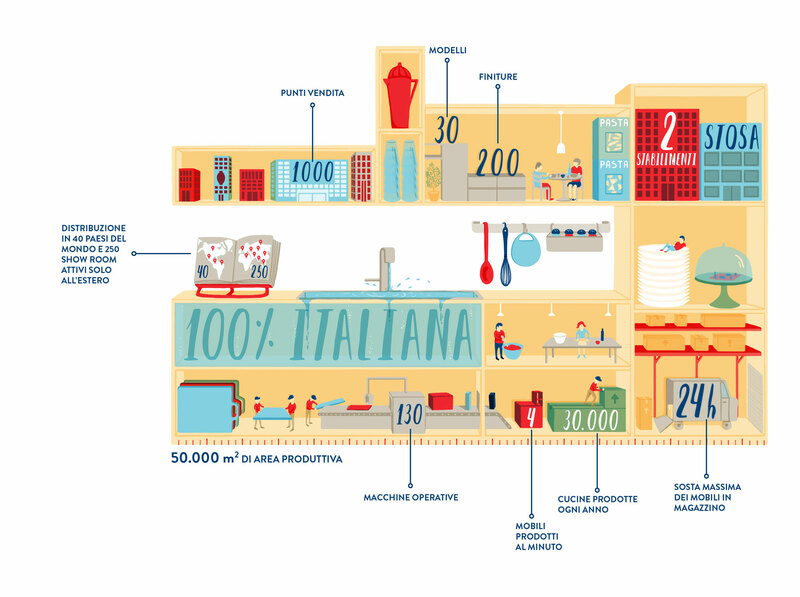 In the picture are highlighted the numbers that characterize the production and the product of the company. 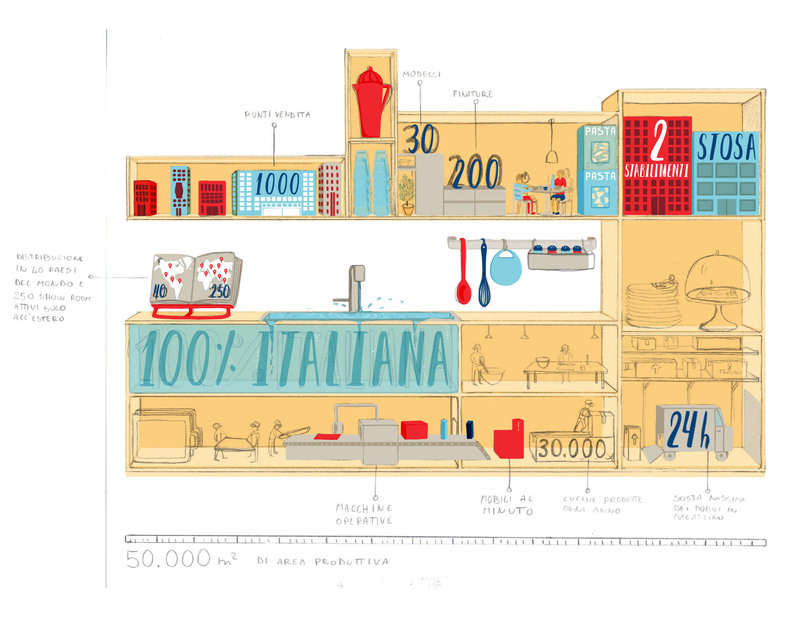 Everything is told in a sectioned kitchen, in a very family atmosphere, where the characters live daily in the compartments and shelves.